Welcome to Green At Home Ltd Garden Design and garden maintenance everything your garden need is here, just one call to get it done. The gardening company for South East London that will deliver the service you deserve and add high quality value to your garden. Our professional landscape gardeners will keep your garden to it's best look all year round. We work with passion and we love to do all those gardening jobs that make your garden a better place. 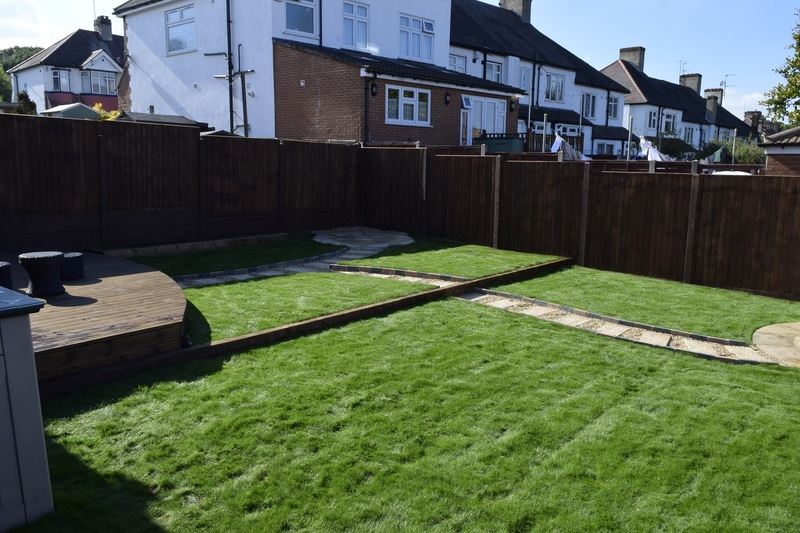 The services we provide in South and South East London cover all aspects of gardening and landscaping including Garden Design Decking Fence Pergolas Maintenance Hedge trimming Lawn Mowing Turfing Garden clearance and many more that you can find about when you contact us. Time is short when working in London, all that traffic and the busy life take out energy. Having well maintained garden will give you the opportunity for quick recharge and relax. Most of us like spending time outside on the barbecue with friends and family. Green At Home Landscapers use best professional gardening tools. Our resources all the equipment and the expertise make us first choice when it comes to gardening company in London. After phoning us, we agreed with our new client to meet and discuss the garden design. It is a large garden with a lot to do. Overgrown weeds, old fence that need changing and we have to thing about new garden design. Because the garden is on a slope we have to level it and make it on two different levels. This will give easy access to any random part of the garden. 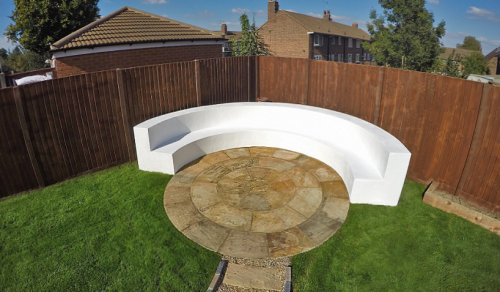 After the brain storming and many new garden design ideas our client chose for their garden unique barbecue curved bench. 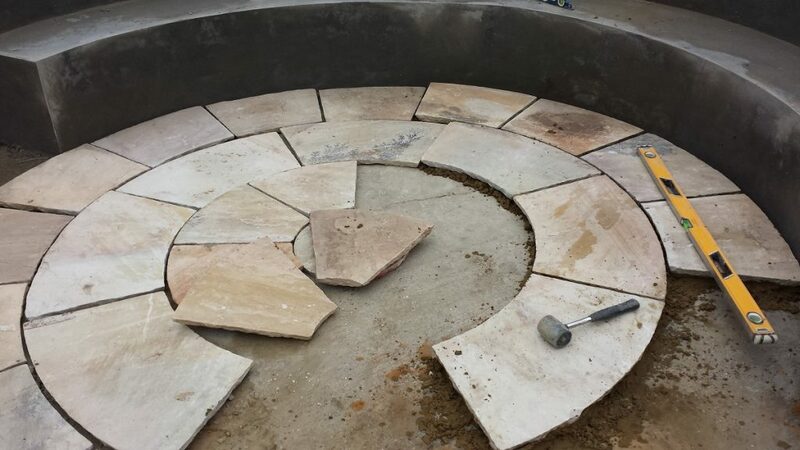 We build the sitting area with concrete blocks and a lovely patio circle in the middle with size of 3m diameter that gives enough space for all family to enjoy the garden feature. From the back door leading to the garden we create lovely decking area with specific design that suits our clients requirement. Perfect place for daily use sitting on the garden furniture and enjoying a morning or afternoon tea. We use best decking oil to treat all wood work, it will protect the decking boards and give the wood nice finish. Green At Home Best Gardeners in SE18 South East London - At the current project we need to change entirely the garden fence. First removing and disposing the old rotten fence panels and wooden posts. 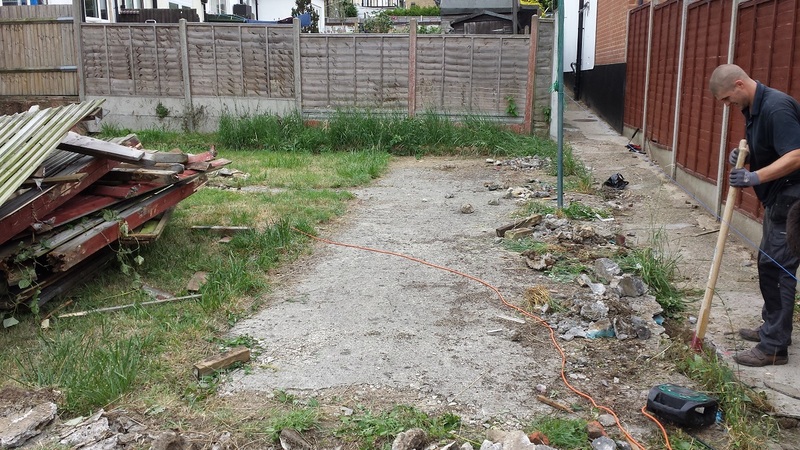 Replacing with new closeboard fence panels and concrete posts that will give long life to the new fence. New side gate leading to the garden from the driveway . Painting and protecting the new fence and gate with quality exterior paint. 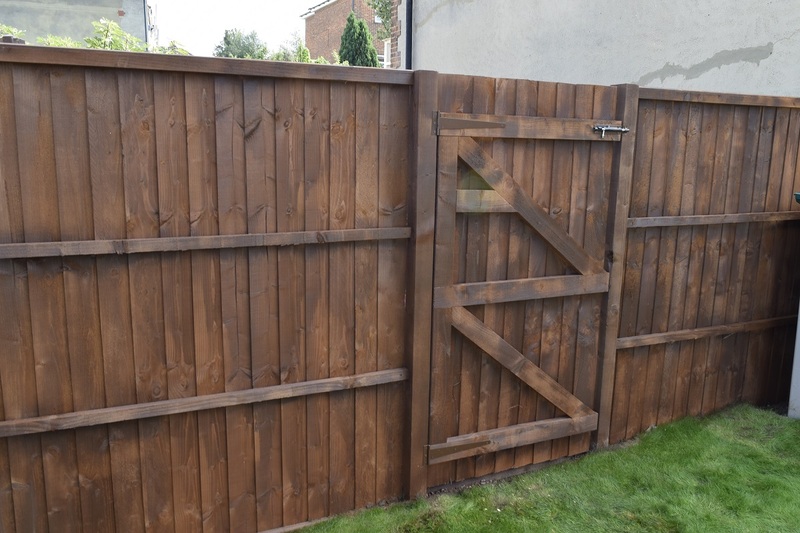 Planning fence repair or installing new fence panels is only a call away. Contact us today and we will advice you with the best garden fence and gate for your yard.